Today all the rooms took part in some amazing activities for our second day of enrolment week. 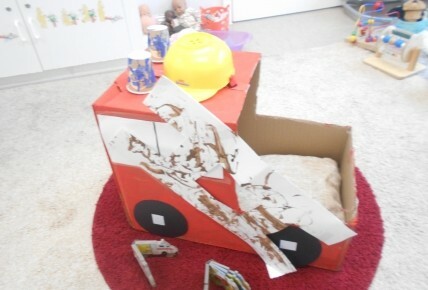 Our babies rooms created a beautiful fire engine made out of cardboard which was decorated by the babies. 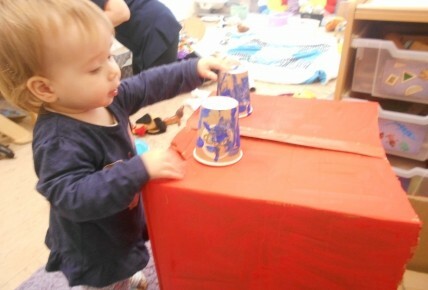 The babies used different coloured paint to create their fire engine, some painted the engine, some created the wheels and some made some lovely marks of the cups for lights. 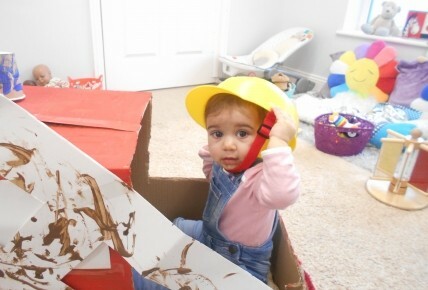 Each baby then had a ride in the fire engine with a fireman's hat on and explored the noises that a fire engine makes. Some of the other rooms created a traffic road with a lolly pop man. 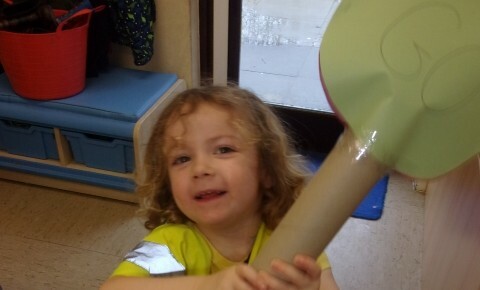 We made a lollypop stick with STOP & GO signs which the children used to role play crossing the road. 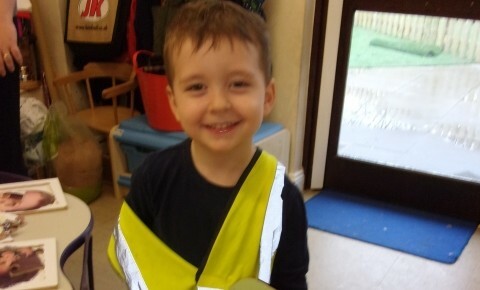 Some children were riding bikes on the road, one child was dressed up as the lollipop man stopping the traffic when peers wanted to cross the road. The children loved this activity and they all got involved in what was going on.